Our Wedding Specialist Krissy, is always busy helping couples select their wedding transportation, recently organised an amazing Indian Sikh wedding earlier this month. After the ceremony; which took place at Temple Gudwara Sahib in Leamington Spa, the groom was chauffeured in style to their reception held at the National Motorcycle Museum, Coventry Road, Bickenhill, Solihull. 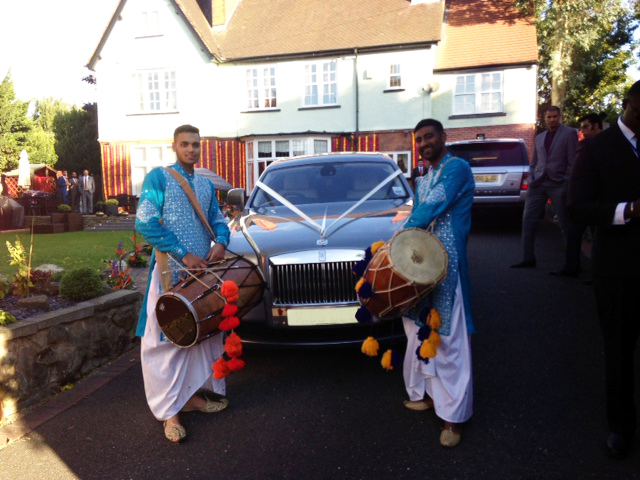 Our Rolls Royce Ghost is a classy vehicle available to hire with a Signature Chauffuer for your wedding. We have an extensive selection of wedding cars to suit all tastes, so if you can’t decide just call our Wedding Specialist Krissy on 0845 370 2222 and she will help you arrange all your wedding transportation needs. Take a virtual tour by watching our Rolls Royce Ghost which really shows how beautiful this car truly is! Rolls Royce, Signature News. permalink.